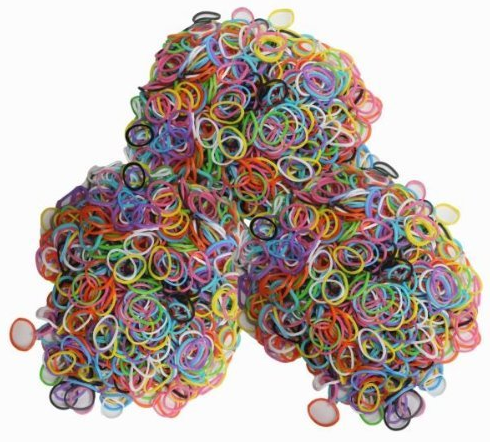 Latex-free Silicone Refill Bands for Rainbow Loom Only $5.95 PLUS FREE Shipping! You are here: Home / Great Deals / Amazon Deals / Latex-free Silicone Refill Bands for Rainbow Loom Only $5.95 PLUS FREE Shipping! If your creative kiddo loves making rubber band jewelry, this set of Latex-free Silicone Refill Bands for Rainbow Loom Only $5.95 PLUS FREE Shipping is for you! This set comes with 18,00 pieces and down from $29.95! That’s an 80% savings! Get yours Now! Thanks to Smart Couponing and More for sharing!